How to make kids lunch boxes super cool! Kids lunch boxes can be a real challenge. Coming up with new kids lunch ideas every day is something I think every parent can relate to. When kids come home from school and their faces are red they tend to head straight for the ice blocks. You can’t help but feel sorry for them, especially wearing shoes and socks all day. 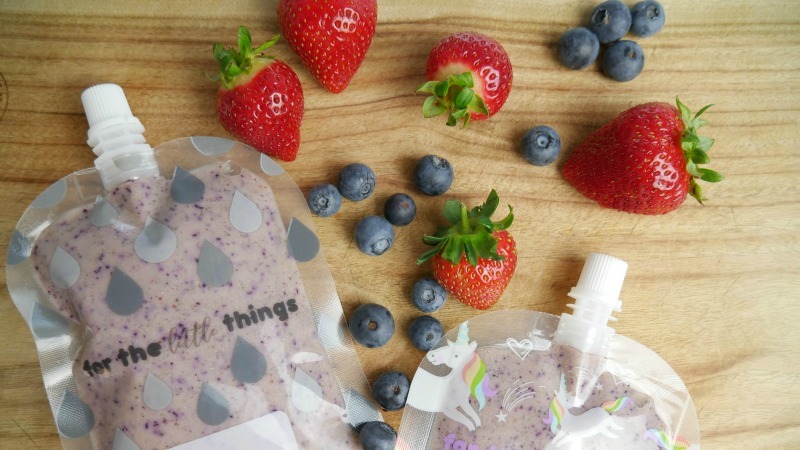 We decided to supercharge the kids lunch boxes by changing the way we gave them fruit. There was nothing wrong with their fruit cut up in a container, this just gave them a chance to have it a different way. Our recipe came together by expanding on their favourite which is the classic strawberry smoothie. 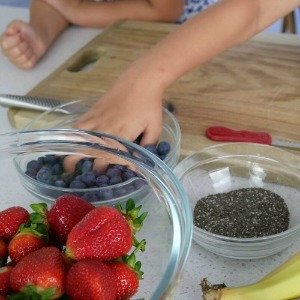 Adding extra nutrients through blueberries, bananas and chia seeds took the flavour to another level. It was so rewarding when the kids came home on the first day and said their friends thought they were super cool. It’s pretty hard to have the kids lunch boxes rated let’s face it, but they have proved to be a massive hit and they have been taking them every day since. 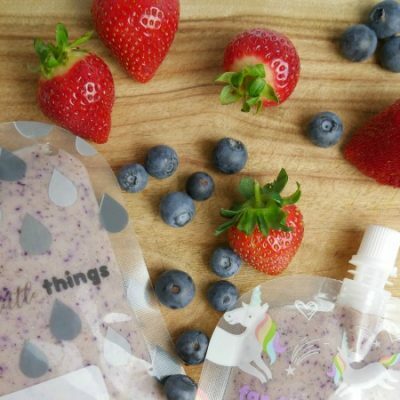 How to make your kid’s lunch box – Fruit Smoothie Cool! 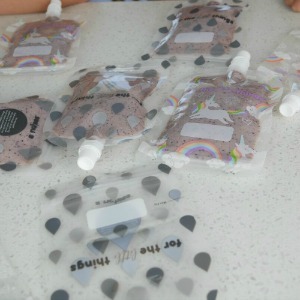 Using the Sinchies pouches was another great process we implemented as sustainable living is very important at our house. What I’ve implemented this year is an unpack and repack system in our house each day after school. What we do is the kids are responsible for unpacking their school bags, washing out their lunch boxes and repacking what they can for the next day. It means they understand the concept of reuse and recycle when they do it for themselves. This builds awareness and respect for everything they use. It’s working so far so fingers crossed. Don’t forget about the left-overs. 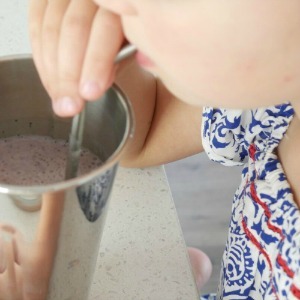 My kids love sticking around to see what they can have straight away in a smoothie. We love our stainless steel straws that not only help our sustainability cause, but they help the smoothie remain super-cool and delicious to drink.